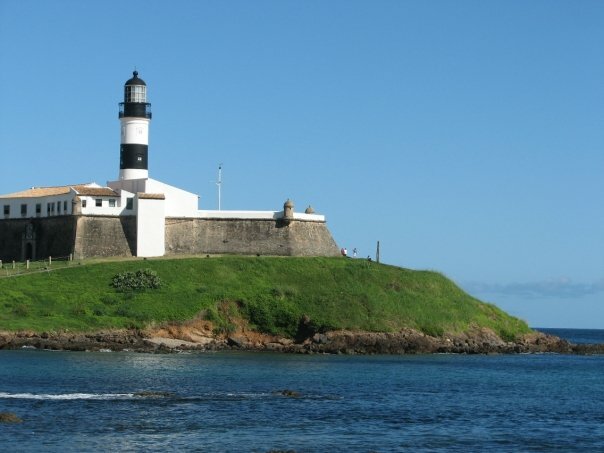 The city tour is a great choice for travelers, who are interested in getting a good insight and a basic knowledge about the city of Salvador and its history, culture, architecture, geographical areas, music, beaches. Starting in the modern suburb of Barra at the mouth of the bay (All Saints Bay) with its famous lighthouse. There you will have time to take some pictures of this amazing view, where the bay and the Atlantic Ocean join together. 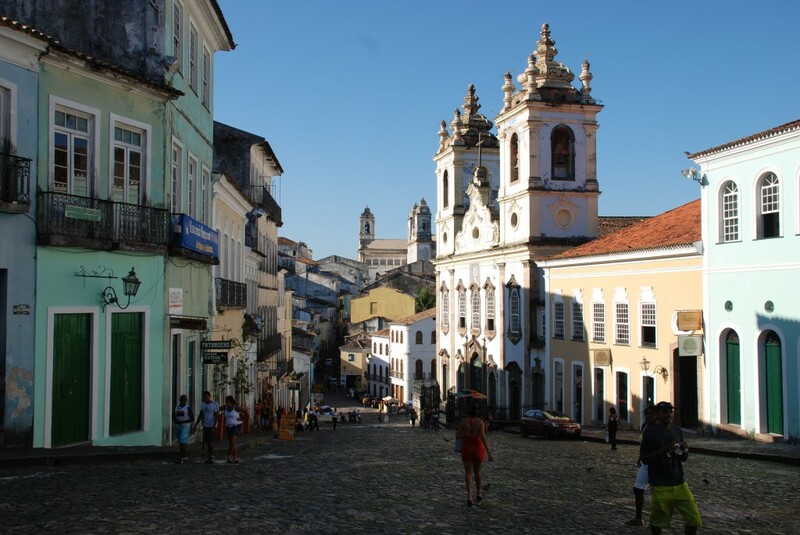 We continue our trip towards the Pelourinho (old town), passing through areas like Vitória, and Campo Grande. Every area has its specialties: museums, fortresses, bars, beaches, theatres, and history. Arriving at Pelourinho, we start our walking tour at the Rio Branco Palace in the Tome de Souza square, one of the oldest palaces in Brazil. 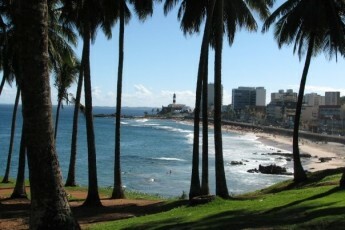 From there you can admire the panoramic view of the lower city and the All Saints Bay. We continue our tour by strolling the copplestone streets of this preserved colonial style site, which is also declared as a cultural heritage area by the UNESCO. 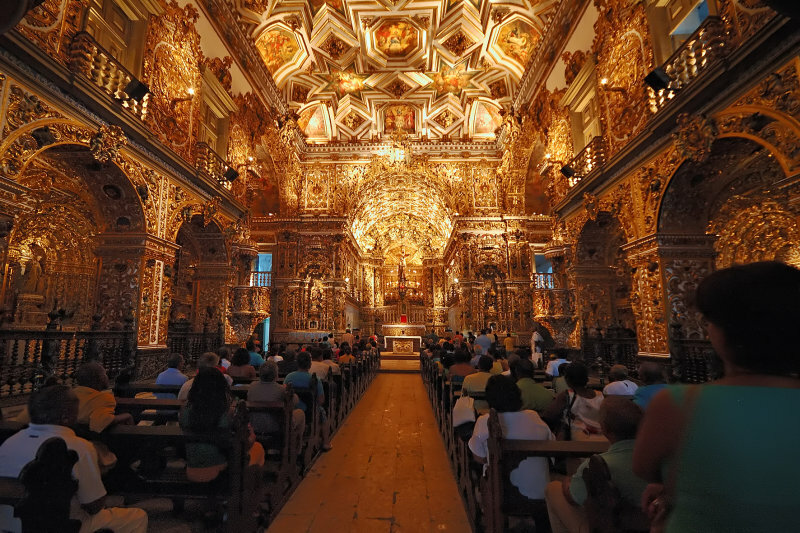 We’ll visit the Saint Francisco church, with its gold leafed interior and Jacaranda wood furniture. We pass various museums and historical buildings, until we reach the ”Largo do Pelourinho”, the most famous picture postcard of Salvador, where slaves have been punished in public in ancient times. From there, tour proceeds to a local restaurant. After lunch, we’ll go for a ride around the lower city Salvador, visiting the quiet waters of the Itapagipe peninsula, where the first holiday residences were built, now it’s a peaceful family district, life moves much slower than the bustling upper city. Fishermen fish from dug out canoes, locals collects shell fish at low tide, schooners are at anchor, all under the view of the Bonfim church. Then, we go for visiting the Church, site of intense religion devotion, one of the most of pilgrimage in Brazil and deeply syncretized with the Candomble afro religion. We continue to the Montserrat district with its panoramic view of the city. 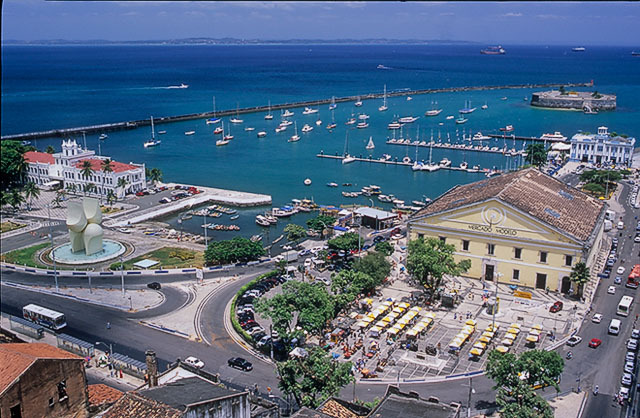 Our tour goes now to its end, by visiting the Modelo Market, old slave trade market, one of the oldest and most traditional commercial zones of the city of Salvador, with its architecture protected by the National Historical Heritage. The building holds 263 art-craft stores, so fulfill your curiosity looking around! Meet: At the front desk of your hotel in Salvador.